Can You Become an Actor Without a Degree? 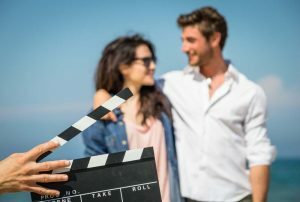 Many people want to know how to become an actor and everybody’s also aware that majority of currently working famous actors have gone through some kind of acting training. However, even though they did train to become better actors, that doesn’t mean they earned a degree. So can you become an actor without a degree in theatre, acting or anything related? Absolutely you can! There are tons of actors who have gone to have amazing careers on stage, in television and film. A lot of them did not choose the standard path of training at a reputable drama school for 3 or 4 years. Instead, they’ve taken some private coaching or private acting classes in groups, and honed their skills that way. You can do the same. Whether you have decided to skip drama school training or just cannot afford their unreasonably high prices, you don’t have to be disappointed. This might be the best decision you’ve ever made, but it depends how seriously you’re going to approach your acting career for the years to come. 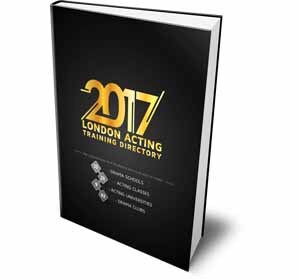 First and foremost, before you start planning anything, I would suggest you to read about drama schools, acting schools and our business plan approach to an acting career. Acting craft is art; but acting industry is a business after all, and all you need are SMART choices to become successful at it. Technically, you don’t need a degree to become an actor. No film or stage production EVER has hired an actor because they had a certification. They have auditions for that; if you’re a good actor, you don’t need to prove that with a degree. Consequentially, if you’re not good, then no paper document will get you the job either. Audition, get the job and live your dream! Sounds simple, right? It is, and it isn’t. You’ll know more once you have climbed these steps by yourself. This doesn’t mean go to school (we’re avoiding it, remember?) It means read, read and then read some more. 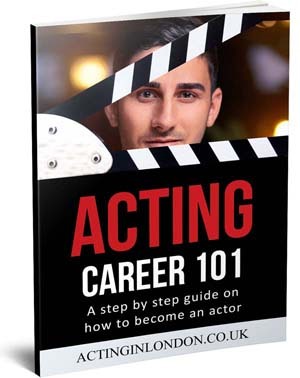 There’s plenty of amazing acting books that will explain how this industry works in details; there are books on acting craft, methods and techniques. Now granted, you cannot learn to act from books, but knowing the theory and how it all works will put you way ahead of other starting actors. Some famous acting teachers demand for you to read their books before you come into a class. It’s not because they want to sell more (well, maybe), but mostly because you have to know what you’re going to be learning. Nobody likes a clueless actor. Remember, you also have Internet — the greatest invention since Gutenberg. Take advantage of this freely available information. 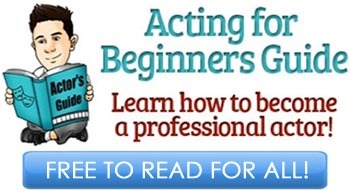 Read everything on the Actor’s Guide and other acting websites. This will put your mind into the right perspective. Training is very important. It doesn’t have to be from a reputable drama school. In fact, it’s even better if it’s not; you’ll understand why later once you really start pursuing this career. Actor must always stay in training! If you’re not one of the rich kids, then you probably trying to support yourself with a survival job while pursuing your dreams. Make sure to budget wisely and invest into your acting career, and that includes training in acting schools. By now you should’ve already gone through the second stage — educating yourself. 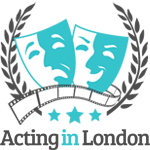 You must know what acting schools are, where in your town they’re located and what can you learn from them. Make sure to enroll to an on-going acting class as soon as you can afford it. Acting classes will not only make a better actor out of you, but you’ll truly understand whether this occupation is something you want to do for the rest of your life. Good acting class will also become a valuable addition to your self-marketing as an actor as you can use it on your acting CV. At this point you know a little about how the acting industry works, who are industry people and how to make yourself known in this business. You’ve read books, spoke to actors, agents and casting directors. You feel confident about committing to this career and you’re absolutely sure it’s going to be a success! Once you have some acting training, experience and knowledge behind your back, it’s time to pounce! Create your acting resume, get yourself a headshot and if you’ve already been a part of some small/student film productions, have a showreel made. This is your actor’s arsenal that will get you in the door; it’s your number one marketing tool-kit. Once you’ve taken that first step — that’s it, you’re an actor. 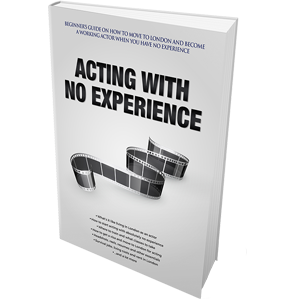 You’re probably not a working actor yet, but you’re out there, with training and experience, struggling like everybody else. How long did it take you? Just a little over a year? Drama school training takes 3-4 years before you can take that first step. In the mean time you’ve also been gaining some real acting experience on real, even if extremely low-budget, productions. You’ve read everything about how this business works, and now you know how to work it. So yes, you CAN become an actor without a degree. Now just #5 audition, get the job and live the dream! Thanks somuch for a wonderfull courage now am looking forward to do as i’ve red.Thanks again,Mohale Isaack Ngobeni 21 years approaching 22 on the 17th of November this year.Am from The Limpopo province home town Tzaneen currently in Eastern Cape as Development Facilitator at The Small Enterprise Foundation. I believe in you Mohale. -28 year old business owner who has recently realized his true dream of acting. Someday i will be famous and we will look back on this comment that i wrote to you, some talk show host will find you in the city you have mentioned, and we will meet in person. In 10 years this will happen.